Totally Wired has been serving greater Los Angeles for over 25 years. With a large qualified staff experienced in both high voltage (power & lighting) and low voltage (audio, video, security, and control systems), we represent a true "one stop shop" for all your home's wiring and technology needs. Smart Homes Innovations is the leader in home integration, specializing in the installation of structured wiring, house music, lighting & climate control, home theater, security, home automation, and more. staying on the cutting edge of technology while meeting the ever changing needs of our customers, we bring new and fresh ideas every day to customers. FREE Consultation Call 818-962-4102. At M2 Multimedia, we're the specialists creating some of Southern California's most advanced "smart" homes. Our home automation experts will take the most sophisticated audio and video systems and integrate them into a simple, easy-to-operate multimedia system - one that you can control from a touch panel or your iPhone / iPad or Android wireless device. Interactive Environments, Inc. is your one stop solution for high end sound devices and gear, our installation experts have over two decades of experience and our purchasing power allows us to provide you with the best quality items at the lowest cost possible. From multi-channel mixing devices and amplifiers, to complete portable sound gear setups, we have all of it. In business since 2002, our friendly staff is here to answer all of your question and provide expert consultation to meet your needs. If you have questions that our trained customer service representatives can’t answer, they can just talk to our expert installers and technicians that have decades of combined audio equipment experience. If you want to setup a system in your office, a studio for recording, or just need some speakers to finish off your home cinema setup, let the dedicated staff at IEI help you. We supply customers with the finest, highest quality brands in the industry and we thrive in customer service and satisfaction. We specialize in home theater installations and our expert crew of technicians have helped hundreds of people’s audio equipment dreams come true - what’s holding you back? We offer free consultations to help you turn your audio fantasy to a reality. All of our new audio equipment products come with warranties from their specific manufacturers and we can help you decide which equipment packages work best for your needs. If you have aspirations of owning a custom built audio equipment setup then give us a call at 818-341-8500, so we can figure out exactly what you’ll need to make them aspirations come true. 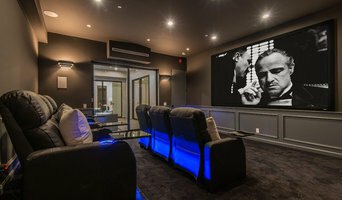 Johnson Audio Video Inc specializes in home theater design and installation, television/front projector installation and calibration,networking, surround sound speaker installation, and home automation design and installation, including wireless thermostats and lighting systems. Our background and expertise consists of over fifteen years in the audio/video design and installation business. We only use the best brands and are dedicated to completing each project in a timely and professional manner, under a licensed and insured team, from the initial in-home consultation to the final programmed system and explanation. 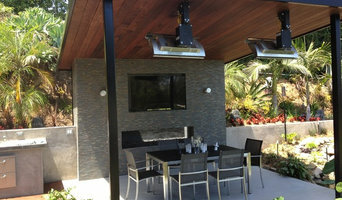 We have the perfect audio/video system solution for your home or business. We're committed to helping you figure out what best fits your needs and budget. We're happy to answer all your questions and to give you a customized consultation and quote. Whether it's a new remote control needed for an existing theater system, or a full house audio/video system for a new construction project, we are the experts that will take care of you. We offer unmatched customer support before, during, and after the project. Johnson Audio Video Inc. is your one-stop solution. Call us today for a free consultation! Find a home media designer on Houzz. Narrow your search in the Professionals section of the website to Brandeis, CA home media designers. You can also look through Brandeis, CA photos by style to find a room you like, then contact the professional who designed it.